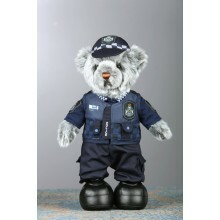 Constable T Bear editions 2014 available for purchase for a limited time - only 2,000 of the bears were ever produced in each edition (2012 edition no longer available). THIS IS A LIMITED EDITION COLLECTORS ITEM.The is the 2014 edition of the Queensland Constab.. Copyright Notice. All Rights Reserved Worldwide. All Information and Photographs on this website are copyright Community Supporting Police Inc.